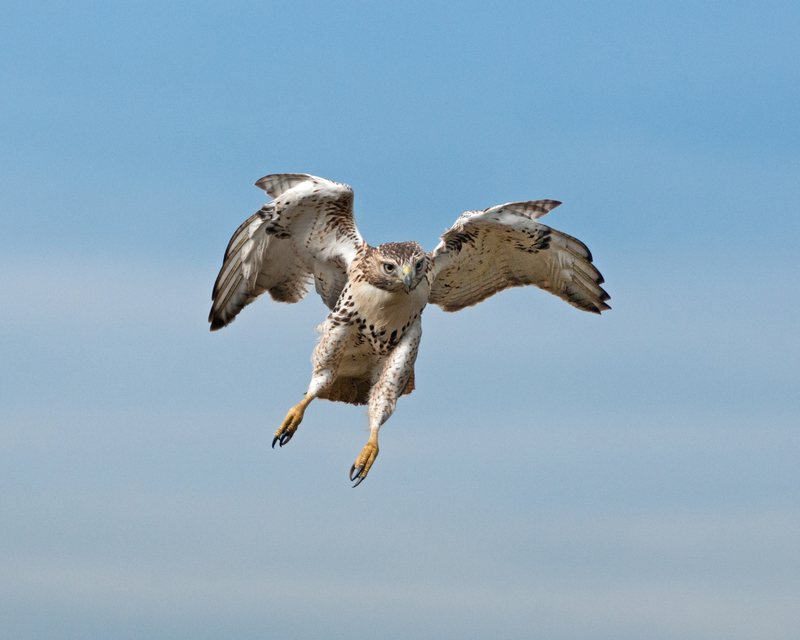 Trapping is one of the key skills every falconer should learn to do safely and ethically. It can best be described as “Fishing for Birds” and as with any form of fishing or hunting, different techniques are necessary for different locations and species. The entire concept of trapping ultimately revolves around a general principle, bait. Most falconers focus on two main methods of trapping, the bow net and the bal-chatri often called BC for short. 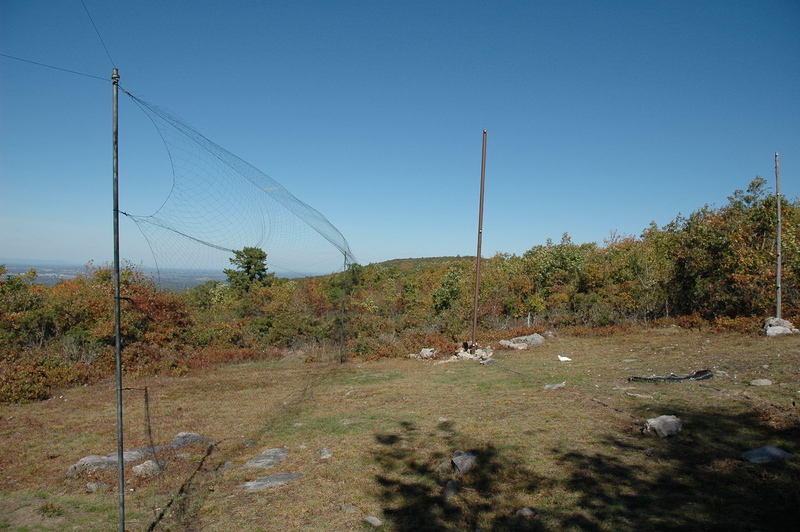 The bow net is typically used for catching raptors that are migrating south for the winter from the top of a ridge. The trap is usually a circular ring that is folded in half using spring loaded hinges. The lure is presented in a way that entices the bird down for an easy meal. Once the hawk grabs the lure, the net is sprung and the hawk is caught. The bal-chatri is better suited for trapping on the go and selective trapping. The BC is typically constructed using wire screen in a dome shape with monofilament nooses surrounding the cage. 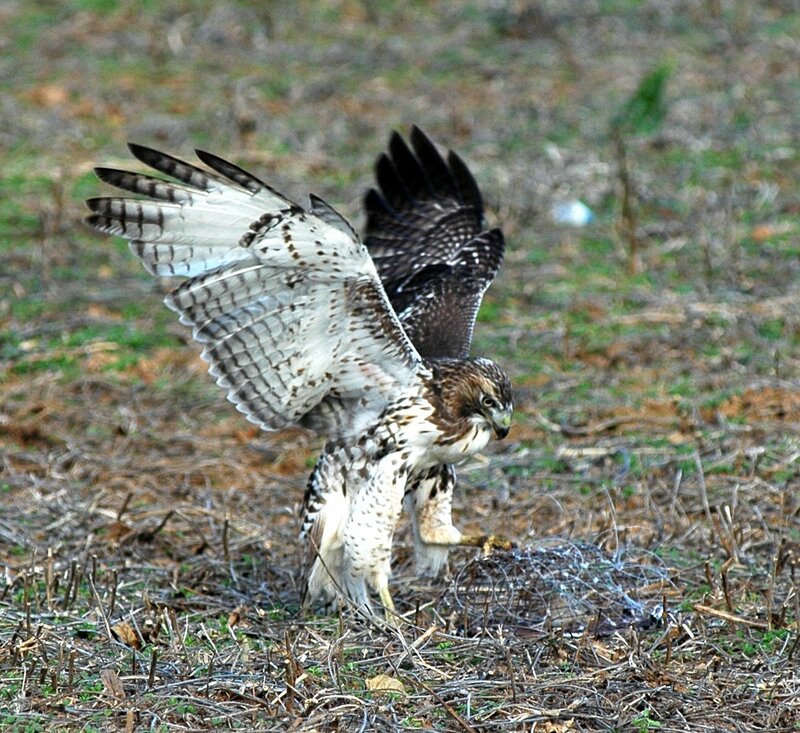 A small bait item is placed within the cage, safely protected from the hawk, and the trap is placed on the ground within sight of the hawk. The upside to this style is that it allows the falconer to be selective in regards to his target bird. If the hawk is an adult, the falconer can easily pass it up and wait for a juvenile without wasting time. The drawback is that you must get relatively close to the bird for this method to be effective. There are many variations of both the bow-net and BC trap. Many falconers will build or share their first trapping equipment with their sponsor. Over years most falconers will migrate towards a particular style or construction type. There are some over the counter type options available from some of the falconry vendors as well, but its advisable to see the types in action with your sponsor and falconry mentors prior to purchasing one. Most vendors who supply these materials require proof of a falconry or banding permit to sell the trap to the purchaser. This is an appropriate “safe guard” to help reduce undesirable use. There are a few other alternative methods that are used and one is the Dho Ghaza net or the Mist net. The Dho Ghaza is effective for targeting such species as Sharp-Shinned hawks, Coopers Hawks, or Peregrines. Typically these species come in low and fast towards the lure and often will strafe before finally committing. These nets are spread across an area surrounding the lure and are made of fine, dark line and are nearly invisible. Even if the bird does not decide to catch the bait, it is still caught in the net on a passing run. Once a birds is caught in the nets, great care is taken to safely extract them without damaging feathers or being grabbed in the process. An often overlooked part of trapping is the aftercare once they are removed from the trap, a close physical exam usually follows to gauge the overall condition of the bird and general health. This is the time in the process that takes the most amount of hands on experience to become acquainted with to proceed without instilling excessive fear and stress on the bird or risking injury to falconer or bird. Trapping is something that the vast majority of falconers hold sacred due to the many ethical dilemmas that stem from non falconers being exposed to trapping. It’s not uncommon to find a healthy reluctance in including non falconers and those not fully engaged in their apprenticeship in the trapping excitement due to potential conflicts of interest. Trapping can be one of the most fun aspects of falconry but it’s important to be taught directly and understand the appropriate methodologies. It is imperative to understand that the number 1 goal of trapping in the falconers eye is to trap the bird with no harm. 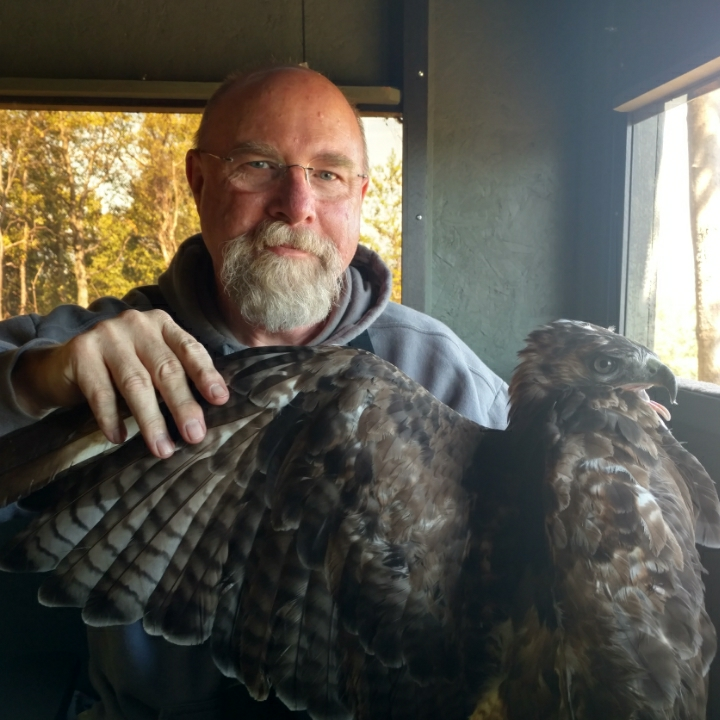 Although trapping is often kept under wraps that is only because it is the desire to teach safe and ethical trapping through intimate hands on experience from falconer to falconer. Another ethical situation you’ll often see is falconers take great care of the birds that are trapped, even if they are not kept for falconry use. It’s most common that one will find the freshly trapped bird of having an external parasite called Hippoboscid fly or more commonly referred to as “flat flies” as well as a host of other mites and parasitic species. These parasites feed on the blood of the host species and if left untreated, can mean an untimely end to their life. Regardless of whether or not a falconer decides to keep a bird, most falconers use a simple spray to treat the bird before releasing it or keeping it. Some falconers also keep oral prophylactic’s in their trapping gear and inspect birds for symptoms of frounce or other diseases and give the bird a treatment prior to release to give the bird a better chance at long term survival. While their initial purpose was to supply falconers with their birds, these trapping techniques are now being used by ornithologists for research. There are some falconers who also act as bird banders, putting their skills to use for tracking migratory raptors. Upon capture, various measurements are taken and recorded down. The bird is also fitted with a small metal band that is numbered and unique to that individual. All of this is submitted to a shared database and this data allows scientists to see just exactly where they are going if they are captured again or also how long some may live. It is not uncommon for raptors to return annually to a near exact migration path and dates and to be trapped and recorded multiple times over multiple years. 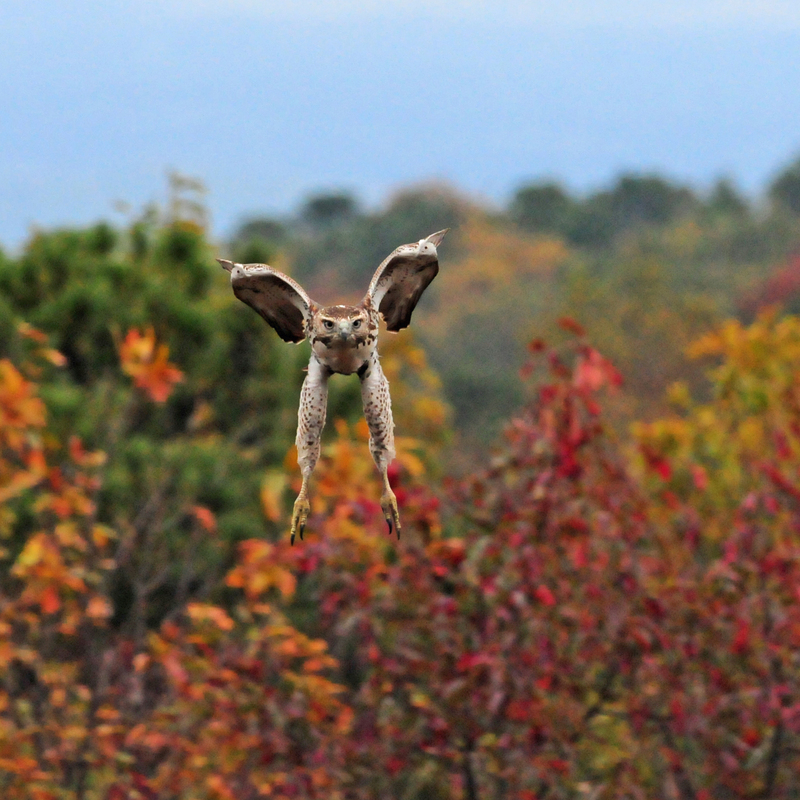 Newer technology has even been developed to allow researchers to track those raptors caught via GPS telemetry. Falcon Research Group is one such organization who has used GPS in the past. 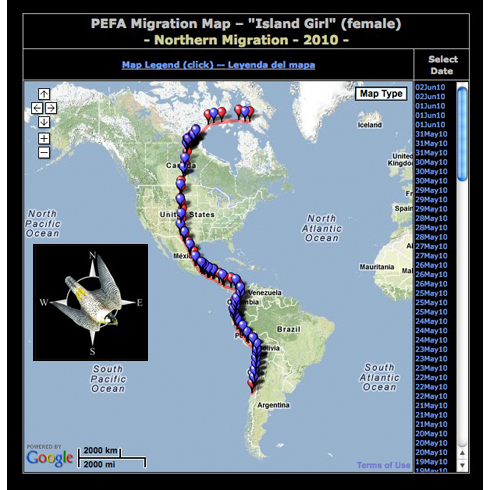 One particular female tracked by FRG, “Island Girl” was tracked on her same migration route for well over a decade through an outfitted solar powered GPS transmitter until the transmitter no longer reported in. To the right is a copy of Island Girl’s migration map for 2010. Falcon Research Group shared a lot of new and interesting information about the migration path and habits through this bird. They learned that even in the event of a storm blowing a bird off the migration path it was likely to “stop migrating” and make a direct path back to their original migration path before returning to migratory direction. This particular bird was so predictable in her migration path she was retrapped multiple times in exact same locations on various years migrations. Falconers and birders alike would line up in 1-3 day windows to see her buzz by for years in a row. It was quite an interesting learning experience for the FRG as well as central flyway raptor enthusiasts. Other than the photo on the left (Mark Shields presenting a beautiful trapped red tail) and the Falcon Research Group Island Girl GPS map the photos are courtesy of Liam McGranaghan, the author of the acclaimed red tail book “The Red-tailed Hawk”. This once hard to get book is now available direct to purchase from Liam, you can find that direct purchase information at the following link: http://www.nafex.net/showthread.php?24438-The-Red-tailed-Hawk.